it is wielded in an unusual manner. of the Dark who wielded these darkswords. Like any other items given by a covenant, only one Dark Sword can be acquired on a character, although ones dropped by other another player can be picked up. 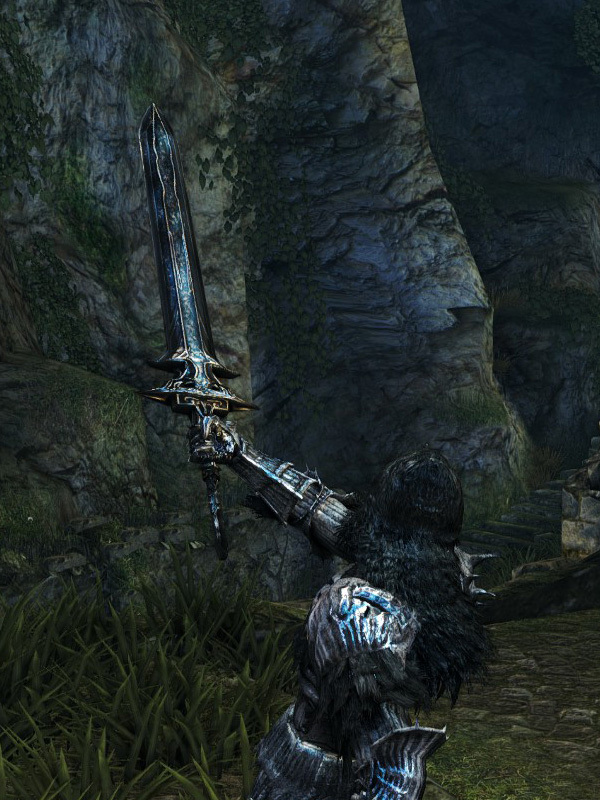 The Dark Sword's unique strong attacks may be useful in PvE because of its stronger poise-breaking capability, but may not be a preferable choice in PvP as the attacks are slow and leaves the user open to backstabs if handled poorly. In PvP, use the strong attack as the enemy is trying to get up from knockdown. Its long attack animation helps catch the enemy right after their invincibility wears off. For those who have decent precision with deadlocking, the curves of the slashing motions can be hard to approach when opposed. Dark Sword durability reduced to 20. Base damage increased. Cannot repair weapon (except through reinforcement).